Simple urban furniture can improve a lot the quality of public space. 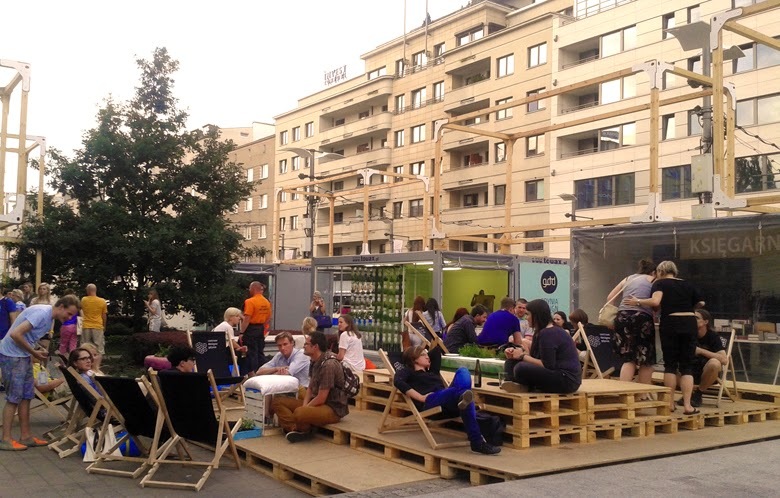 In Gdynia, during Gdynia Design Days, a simple form was built from wooden pallets to create a place to spend time at. And it worked perfectly! The square for a couple of days became a vibrant place full of people. And this is how this square looks like every day. Unfortunately. Look also at Gdańsk's public square, temporarily furnished with pallets.